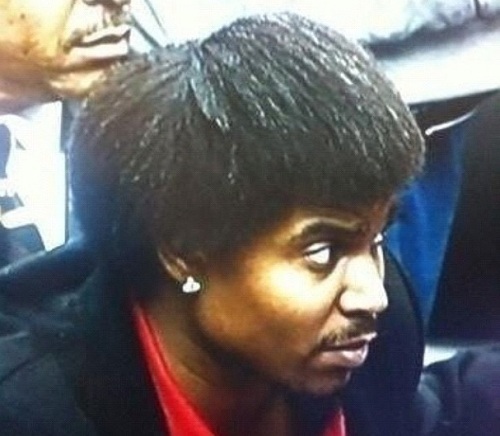 Andrew Bynum debuts HOT MESS Hair! 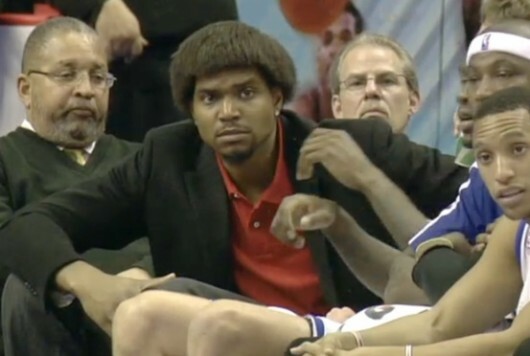 Andrew Bynum’s injuries have prevented him from playing this season, but his hair has managed to keep him in the headlines. 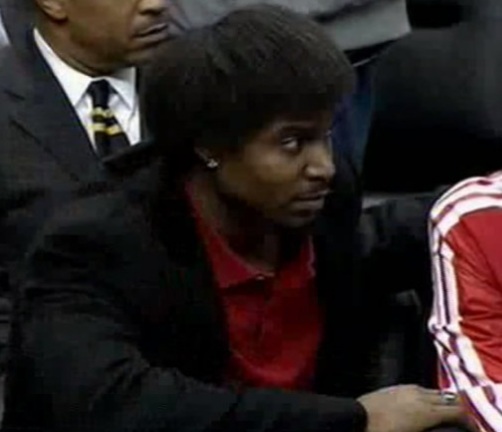 The Philadelphia 76ers center was spotted watching his team play on Wednesday while sporting the ‘do you see above. We really don’t even know how to describe the thing other than a hot mess. Like Black Sports Online, we’re just at a loss for words. Earlier this season, he was sporting the Don King look, but now he’s gone fully with the Ike Turner cut? This entry was posted in Celebs, Sports and tagged Andrew Bynum, Hair, ike Turner, natural, nouaint. Bookmark the permalink.